Our Approach | ?What If! At the heart of the most innovative, “future ready” organizations is a spirit of experimentation. 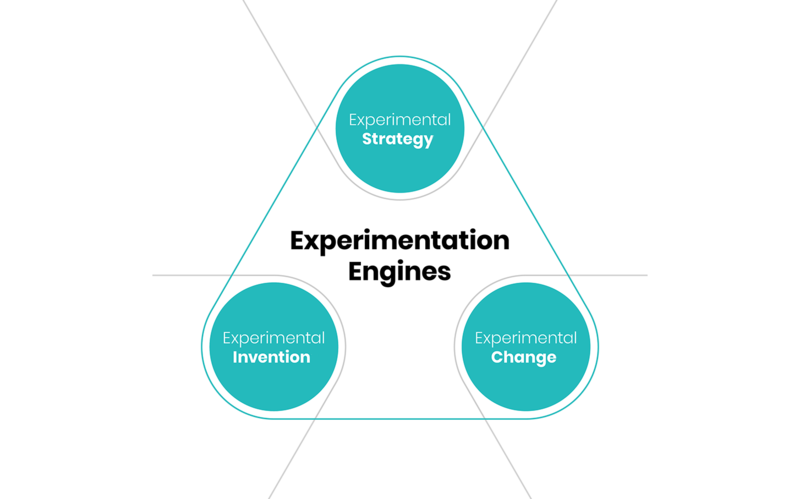 Our experimentation led approach is rooted in the intersection of human centered design, lean iteration, agile economics and inventive spirit. We provide the safe adventure that helps to de-risk ideas, accelerate impact, and empower people and organizational transformation by using the best mechanism of learning in the world – experimentation. Activating an inspiring vision and portfolio for growth - using experimentation to create focus and translate vision into action. Inventing new products, businesses and services - using experimentation to de-risk bigger, bolder solutions and accelerate them to market. Creating organizational change at scale - using behavioral experimentation to infect change that is empowering and creates rapid results.